A very lucky young chap from Bedford had his parents contact Arkade Graphics and commissioned a graffiti style piece for his room. 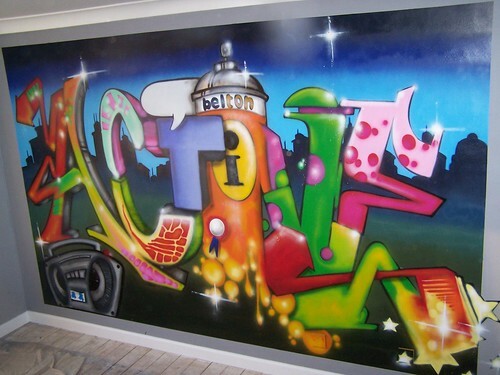 This entry was posted in Commissions and tagged bedroom graffiti, commissioned graffiti, kids bedroom painting graffiti, Themed bedroom. Bookmark the permalink.